Philippines - Today, Friday, Globe Telecom officially announced the roll out of the free and unlimited access to social networking site Facebook. All subscribers of Globe and TM can now have free Facebook access at zero data charges. Telecom company said that they activated today, October 3, the Free access to Facebook until Sunday, October 5, 2014. No full details yet on how long this promo will exist in the systems of Globe Telecom. For all Globe subscribers and TM customers, you can now access the social networking site using your smartphones across all Facebook mobile platforms, including Facebook app or mobile website. Take note! the access has no restrictions on data allocation per day. No maintaining balance and no hidden charges at all. Just create a text message of FREEFB send to 8888, at no cost, you'll receive a text message with a link to access the Facebook for free. 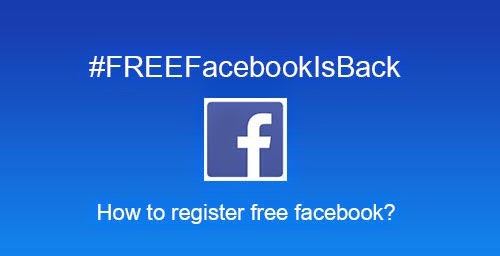 As Globe announced last week about the FreeFacebook news, the rival telecom network also announced their Free Internet. In addition to this information, Globe started this promo way back October 2013 and ended last April 2014. For more FREE Facebook promo related information, kindly bookmark this page and share to your joined social networking sites. Comments or suggestions about "How to Register FREE Facebook Promo - #FREEFacebookIsBack" is important to us, you may share it by using the comment box below.